The Reporters Committee for Freedom of the Press is partnering with the Fund for Investigative Journalism (FIJ) to offer legal support to FIJ grantees completing investigative reporting projects across the country. For nearly half a century, FIJ has financially supported the work of independent journalists who lack the resources needed to pursue investigations into issues such as racism, poverty, corporate greed and government corruption. FIJ-supported projects have won an array of journalistic honors, including the Pulitzer Prize, Peabody Award, George Polk Award and Sigma Delta Chi Award, among others. Reporters Committee attorneys have already begun working with six grantees as part of a pilot program with FIJ to review drafts of stories for libel and other legal concerns before they are published, and to provide other pro bono legal assistance related to newsgathering and First Amendment issues. This announcement is also available on the RCFP website here. Legal support is available upon request, as part of the FIJ grant application process. For more information contact sbergo@fij.org. Grant recipient Robin Urevich has published a series of stories in Capital & Main outlining two deaths connected to inadequate medical care at immigration detention centers run by Emerald Correctional Management. Urevich’s investigation found that the firm received millions from no-bid government contracts while providing sub-par service—this despite a history of poor performance on the part of the company. As of 2016, the company had abandoned or been fired from more detention contracts than it maintained. The Louisiana-based firm went out of business in 2017, but the abuses uncovered reflect a lack of oversight by ICE in vetting potential prison contractors. Immigration detention has expanded fivefold in the past 23 years, Urevich reports, and with the Trump administration’s deportation surge, is growing larger. In 1838, the Society of Jesus in Maryland, an international Jesuit community, sold 272 slaves to plantations in Louisiana. That sale saved Georgetown University, a Jesuit school, from financial ruin. With funding from FIJ, reporters from The Hoya—the student paper at Georgetown—examined the university’s legacy of slavery and its relationship to descendants of the enslaved. Their investigation found that the university had unearthed human remains in 2014 while constructing the newest dormitory building on campus. Those remains were near what was once a segregated graveyard—the final resting place of several Georgetown slaves. The discovery was not publicized and the space remains unmarked. 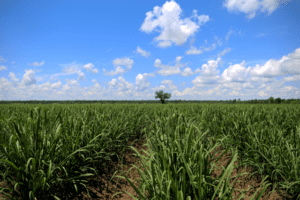 Additionally, the student team traveled to Maringouin, Louisiana, where the majority of the population are descendants of the 272 slaves sold to save the university in 1838. Maringouin has not had a high school since 2009, and students must make a 58-mile daily commute to attend school. Locals told the student journalists that they believe the decision to shut the school was motivated in part by race, and they are calling for Georgetown and the Society of Jesus to support primary and secondary education in the town. Poynter has written the story behind the story of The Hoya report. And, finally, the Georgetown students produced an online edition that recaps their investigation. 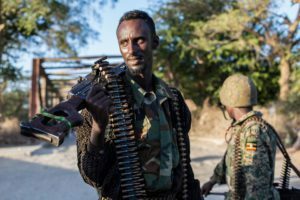 Grant recipient Christina Goldbaum has won the Edwin M. Hood Award for Diplomatic Correspondence from the National Press Club for her reporting on suspected U.S. military involvement in the killing of 10 civilians during a mission in Somalia in 2017. This follows her earlier win of a Livingston Award for Excellence in International Reporting for the same series of stories in the Daily Beast. The stories were mentioned by Representative Ted Lieu (D-CA) in his call for a House Foreign Affairs Committee hearing on counterterrorism efforts in Africa. 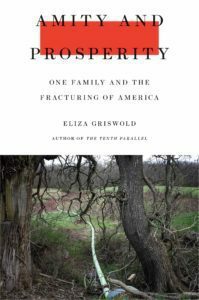 In “Amity and Prosperity” Griswold examines the health, economic and political costs that follow in the footsteps of the American fracking boom.